Andrea Handy is Team Leader of Burnetts’ Residential Conveyancing team in Penrith. A Fellow of the Chartered Institute of Legal Executives (CILEX), she joined Burnetts in 2018. Andrea began her career in Cumbria County Council’s legal department. In 1996, and during her decade with the Council, she qualified as a Legal Executive. She went on to work with a number of Cumbrian law firms, always specialising in residential conveyancing. 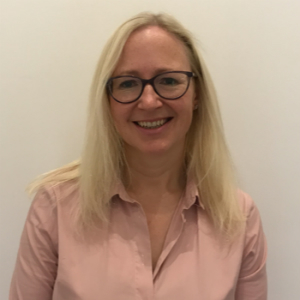 Working primarily for private clients, but also for developers and housing associations, Andrea’s role involves guiding clients through residential property sales and purchases, as well as providing advice on lease extensions, easements, legal charges and title rectifications. Andrea has a particular interest in transactions which involve unregistered land and complex title issues. Born and living in Carlisle, Andrea enjoys fell walking, running, yoga and travelling.